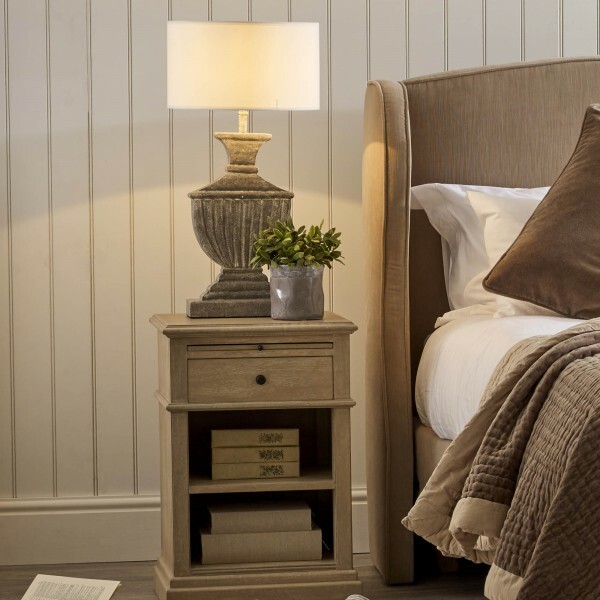 The Kensington bedside table is simple yet elegant, giving you all the versatility and practicality that you need in your bedroom, such as a spacious drawer and deep shelves. Its bleached oak natural wood finish will match any colour scheme, and its slide out shelf is ideal for breakfast in bed. Staying in style does not have to be costly or difficult when you choose a timeless design like the Kensington.